In this competitive world, we should try some innovative ways to educate our kids. 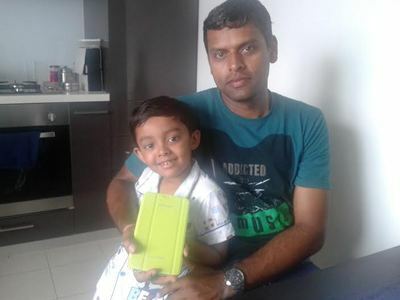 We decided to get a Samsung Galaxy Tab 3 for our son. It has an attractive user interface, colourful design, smooth performance and fun experience for kids. It comes preloaded with a fair amount of child-friendly features. Its width is considerably smaller than average and that makes the tablet more manageable for smaller hands. Initially my son used to get bored by traditional ways of teaching and now from the day we have got the Tab for him, he has started showing an interest in studies and does lots of online activities which enhances his knowledge. We are satisfied and happy with this buy as it is blend of fun and education for kids. Do you have a password on your mobile?